After 76 years and 237 grand slams, the man from Dunblane finally gave Britain its first men’s singles grand slam champion since the late Fred Perry when he triumphed over Novak Djokovic in the US Open. Murray’s year began with a semi-final loss at the Australian Open before he headed out in the quarter-final of the French Open. But it was at Wimbledon at the start of the summer that Murray really endeared himself to the British public with his tears after a battling loss to Roger Federer in the final. Then the success began. Murray gained revenge over the Swiss legend to win gold in the Olympic men’s singles final and he also claimed silver alongside Laura Robson in the mixed doubles. Two Olympic medals and a first grand slam title – not bad for a few weeks’ work. Knighted in 2009, Sir Chris is already a British sporting legend and triumphed in the 2008 Sports Personality of the Year after his exploits in the Beijing Olympics. He won three gold medals that time around and was selected as the Team GB flag-bearer for the London 2012 opening ceremony. Victory in the team sprint, alongside Jason Kenny and Philip Hindes, brought a new world record time with it and Sir Chris then went on to claim gold in the keirin. That win took his Olympic gold medal tally to six and ensured his status as the most decorated British Olympian of all time. Being the “face of the Games” is never an easy role to fulfil. After training for four years and competing in front of your home crowd, the added pressure of having images of your face plastered onto the side of buildings around London would be enough for many athletes to shy away from the limelight. Aged just 17, Simmonds did the exact opposite. Seemingly relishing the spotlight, she launched her Paralympic campaign with one of the races of the Games as she hunted down her main rival Victoria Arlen to win the 400m freestyle. Another gold followed in the most dominant fashion in the 200m individual medley before she added bronze in the 50m freestyle and silver in the 100m freestyle. With six Paralympic medals to her name and her best years still to come, the future looks bright. From the poster girl of the Paralympics to the poster girl of the Olympics – Ennis truly had the nation’s expectations on her shoulders. Having won the heptathlon at the 2009 World Championships, Ennis was seen by many as a certainty for gold at London 2012 despite never having competed at an Olympic Games and losing her world title in 2011. To say she responded to the pressure is an understatement. From the first event of the Olympic heptathlon competition she dominated her rivals. A personal best in the 100m hurdles (in a time that would have seen her finish fourth in the individual event) kicked off proceedings and personal bests followed in the 200m and the javelin. With victory all but guaranteed going into the final event, the 800m, Ennis could have sat back and strolled through the race but she powered round the final bend to blow her rivals away in superb style to take the gold medal. Prior to this year, no Briton had ever finished higher than fourth in the Tour de France. Wiggins himself was one of two British riders to have achieved fourth, along with Robert Millar, but with a strong Sky team around him 2012 looked set to be different. Wiggins first gained the yellow jersey after stage seven and never let it go as he became the first British rider to win cycling’s greatest prize. Having won six Olympic medals on the track from 2000 to 2008, Wiggins then added another gold when he blew away his rivals in the time trial at London 2012 to leave him level with Sir Chris Hoy with seven medals to his name. It is not only his amazing sporting achievements that make Wiggins the bookmakers’ favourite for the SPOTY award though. Few will forget the sight of him lounging on a mock throne after his Olympic victory, his sportsmanship in the Tour de France when he waited for Cadel Evans after a sabotage incident, or his selflessness in leading out team-mate Mark Cavendish to win the final stage of the tour Tour when he could have kept out of trouble and cruised to a simple victory. The Northern Irishman began the year by climbing to the top of golf’s world rankings when he became the second youngest player ever to become world No 1. A spring that saw mixed results then gave way to a glorious summer that saw a phenomenal performance in the USPGA Championship where McIlroy took victory by a record eight strokes to claim his second major. Recent victories in the Deutsche Bank Championship and the BMW Championship have ensured he is the first European to win four PGA Tour events in a single season and he is aiming for an astounding $10million bonus if he wins the final event of the FedEx Cup. Coupled with the chance to make himself a hero across Europe with the Ryder Cup later this month, McIlroy could yet strengthen his hopes of winning SPOTY. If many people in Britain didn’t know Farah’s name before the Olympics they are certain to know both him and his trademark ‘Mobot’ celebration now. The Somali-born Brit won the 5,000m and finished second in the 10,000m at the 2011 World Championships to ensure he went into London 2012 with high hopes. But no one could have been expecting the dominance that she showed on the track. As part of ‘Super Saturday’ in the Olympic Stadium, Farah provided one of the moments of the Games when he took the lead in the 10,000m with more than a lap remaining and refused to let anyone past, storming to a stunning gold. He then replicated his success in sublime fashion exactly a week later when he added the 5,000m title to his tally. Commentator Brendan Foster called Farah’s achievements the greatest British athletics performances of all time and it is hard to argue against him. Described as the most widely read science fiction writer in the world, Polish author Stanislaw Lem was born on this date September 12 1921 in Lwow, Poland (Which is now Ukraine), During World War II, Lem, due to being a Polish citizen with Jewish ancestry, had to survive using fake papers, and worked as a car mechanic and welder. After the war he relocated to Krakow, where he studied medicine. In 1996, Lem was made a Knight of the Order of the White Eagle, Poland’s highest decoration award for both civilians and the military. Sadly On March 27, 2006 Lem passed away due to heart disease, at the age of 84, in Krakow, Poland . 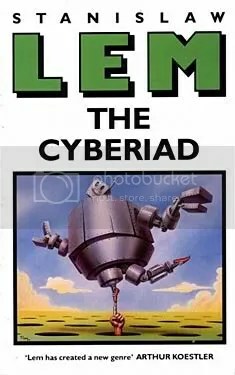 To this day, Stanislaw Lem has sold over 27 million copies of his popular science fiction books, which have also been translated into 41 different languages, making Use of Lem’s elaborate word formation, puns and alien/robotic language.